Howl is helping you make the most of summer’s bounty. Our Farm to Fork locavore series follows Greater Lowell chefs to area farms, farmers markets, roadside stands and gardens for delicious ideas that go from land — or sea — and straight to your dinner table. Chefs like Kodi Semon of the United Teen Equality Center (UTEC), have a growing conviction: By choosing to showcase locally, sustainably and organically grown food, they have the power to change the way we eat — maybe even change the world, by doing things like reducing greenhouse gas emissions as well as pesticide and fertilizer use and improving consumers’ health. This week, Howl visits the Mill City Grows Community Garden in Lowell’s Back Central neighborhood and learns to make some freshly picked tomato pesto in the UTEC kitchen. Some might say the small lot off Richmond Avenue represents the burgeoning spirit of Lowell. It’s a place of transition and redefinition. A place where ideas between community and government come to fruition. In the past, the formerly vacant city-owned lot was a black eye on the Back Central neighborhood. Overgrown with weeds and littered with trash, neighbors complained it was a site for drug use and crime. Now it’s home to 40 gardens. A blossoming urban oasis where Francey Slater and Lydia Sisson of Mill City Grows see the future of Lowell on 9,000-square feet on land. City Manager Bernie Lynch’s Back Central Neighborhood Initiative provided grant funding to jumpstart the project. Since the spring, the community garden has become the seedbed for a rapidly sprouting grow-local movement, with new gardens expected to pop up next year in Lowell’s Centralville and Lower Highlands neighborhoods, as well as the Wang School in Pawtucketville. While growing food is part of the process, Mill City Grows has two larger goals. 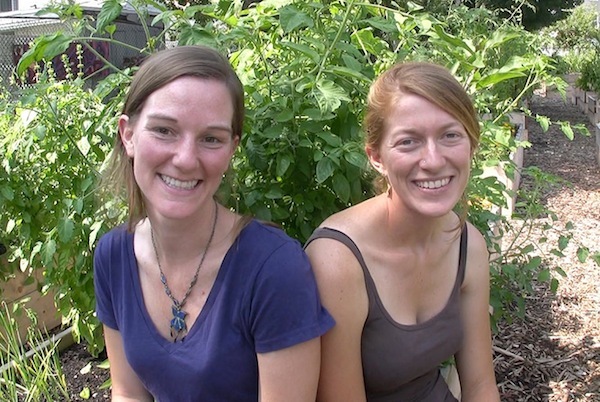 One is to teach others how to grow food themselves — even on a small bit of land; the other is to provide a space that brings together people from across the community. Around two dozen gardeners, hailing from all corners of the world, share growing tips and often, a taste of their bounty. Raised beds, including several that are handicapped accessible, showcase a variety of flowers, fruits and veggies from eggplant and husk cherries to corn and cilantro. For some, the beds provide sustenance, bringing squash, beets, chives, potatoes, peppers, beans, peas, carrots, cucumbers and herbs to their cupboards. Others come to grow flowers and more just for the hobby of it. Each patch, like the person who planted it, is unique. A Burmese family grows a special sour leaf from their homeland. A man in his 90s grows kale to make homemade soup. And “Shae’s Patch” is whimsical, marked by tall sunflowers. On a recent Friday, Sisson and Slater picked tomatoes and basil for the United Teen Equality Center’s Fresh Roots Culinary Program. UTEC makes pesto with the garden-fresh ingredients, which the students sell to Tufts University. The made-in-Lowell pesto is used in the university’s dining halls. 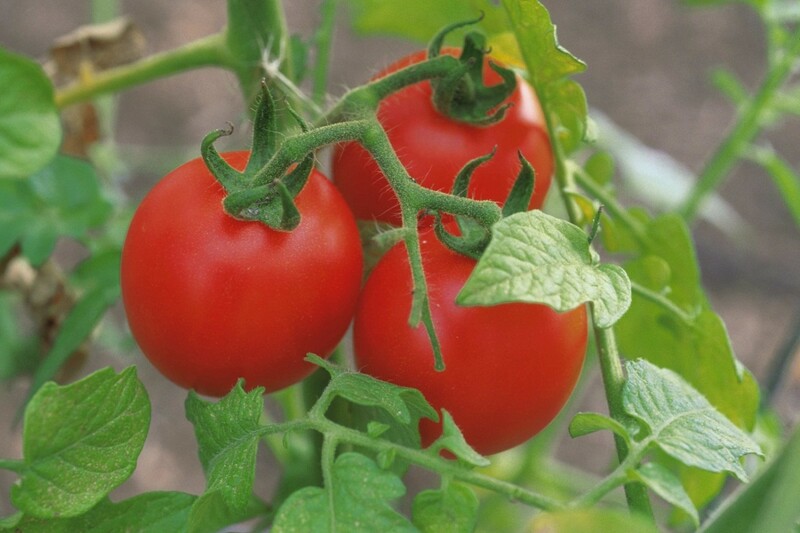 • Three quarts of fresh Juliet, Roman or cherry tomatoes (these varieties pack a lot of flavor). Wash tomatoes thoroughly and cut in half. Spread over baking sheet. • Toss a table spoon of kosher salt over halfed tomatoes and two tablespoons of sugar. • Add a tablespoon of fresh, dried oregano. • Slice garlic thin and spread it evenly over tomatoes. • Put tomatoes in oven at a temperature of 180 to 200 degrees. The slower they dry, the sweeter they get. About six hours. • Let tomatoes sit out at room temperature. 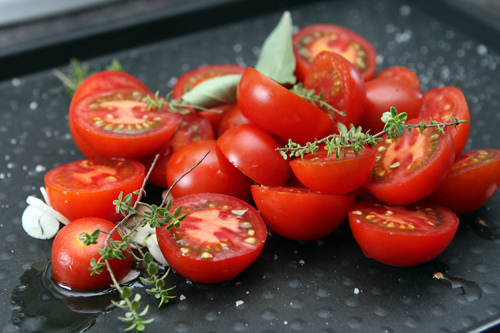 Once tomatoes cool down to room temperature, place in food processor and pulse them. Keep consistency chunky. • Add a quarter cup of olive oil, mix and enjoy.